Sleeves of calves R2 V2 BLACK unisex brand COMPRESSPORT compression. Essential for the practice of the Trail for a better recovery! COMPRESSPORT is the official supplier of the UTMB and the IRON MAN, and offers ultra-techniques products. Them compression sleeves for calves R2 V2 are specially designed to improve the recovery of the trailers and delay muscle fatigue. 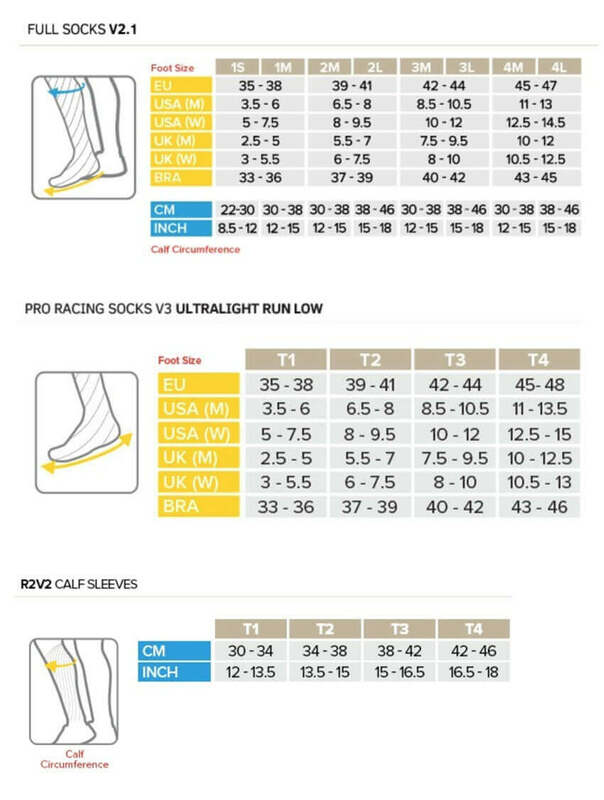 Created for the endurance races, these compression stockings COMPRESSPORT have the particularity to reduce vibration by 8% due to the Shock Absorber technology. They are to wear during the effort to recover more stiffly and delay muscle fatigue. You can improve your athletic performance on the long journeys in order to exceed your limits with these calf compression sleeves! The Trail is a sport while vibrations, do not skimp on your knees against the shock and vibration protection. With these compression sleeves you will properly protect your rotuliens tendons throughout your runs.